On October 23, Boeing started the much-anticipated (and hyped) production of the wide-body 777X jet, showing off its composite assembly know-how at its factory in Everett, Washington. 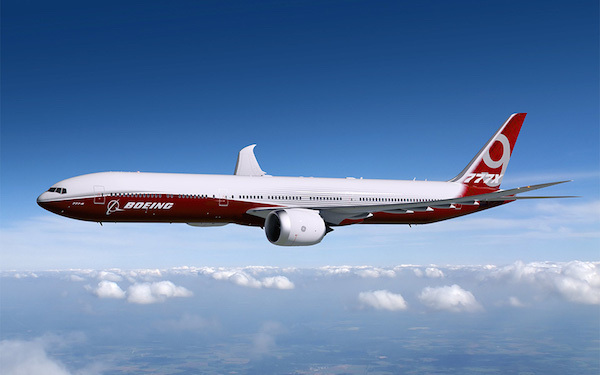 In a live-broadcasted video Terry Beezhold, chief engineer for the 777X project, emphasized the efficiency Boeing hopes to bring with the new composite wings. The aerodynamic shape of the wing stems from the 787, the Boeing model that had a first composite wing of such scale installed. According to Beezhold, sections of the fuselage are already in production in several places across Japan. The whole supply chain of the 777X is similar to its predecessor – the 777.
he workers and the journalists had the chance to witness a laser-oriented robotic arm drilling a hole in the carbon fiber layer of the first 777X wing spar in a matter of seconds. The maiden flight of the 777X is planned for the first quarter of 2019. The aircraft has a total of 340 orders and commitments from All Nippon Airway, Etihad Airways, Qatar Airways, Lufthansa, Singapore Airlines, Cathay Pacific and Emirates.